Do I Invest In Property, or Shares? 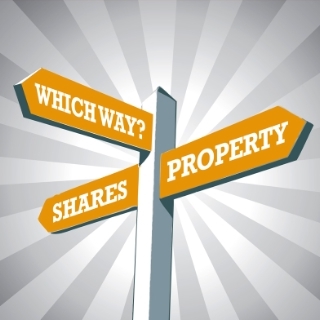 Experts will debate the Property vs. Shares investment and pull statistics to prove their point. The reality is that all investment comes with risk. There is no doubt that many shares have performed exceptionally well over the past few decades – Allan Gray for example. But we could also list a number of shares that have performed poorly, and some that, had you invested in them you would have lost the majority of your investment. None of us have a crystal ball that will guide us – and, while experts will have a good indication which shares are “low-risk”, there is no such thing as “no-risk”. The rule has always been the higher the return the greater the risk. Financial advisors will go to great lengths to explain this to you and in many cases obtain your signature on documents relieving them from any responsibility should your “high risk” investment fail. That’s why I like property. There is no doubt that, over time, it does give the investor a return. They key to any investment is “timing”. I have seen many an investor purchase wisely and obtain a significant return within a few years. Kelderhof Country Village is a prime example where, even in a subdued market, in the past 2 years we have seen a 20+% escalation in property values. Add your 4% rental return (it’s actually over 5% at Kelderhof), and that equates to a return of over 30% in 2 years. Not bad I’d say. But property investment is no way to make a quick buck. I have seen property investors lose as well – depending on the timing. Think of those who purchased in 2006 and who tried to recover their investment in 2009. However, in most cases their properties have now recovered in value, and they only realized a loss if they were forced to sell. But there are a few very significant differences to property investments vs. investing on the stock market. 1. 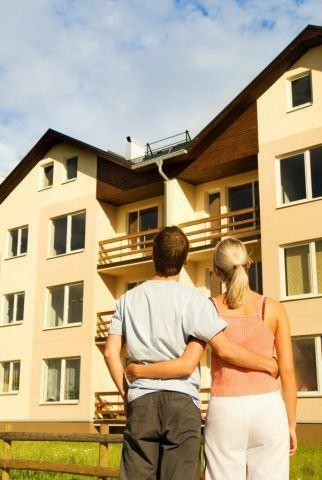 You can borrow capital from a bank for property investment. You cannot do this if you want to purchase shares. It’s called “gearing” – and it makes a big difference to your return. 2. Shares give you very little monthly return. You may be fortunate enough to receive an annual dividend, but it’s a small return. A rental property, even in the Western Cape, now yields at least 5% net in most cases, and in some cases even 7% or more. 3. Shares can suffer significant losses overnight, often based on sentiment. Property, if it is on downward trend, has a much slower rate of decline, even as we saw between 2008 and 2010. The slower rates mean you have more time to dispose of your property should you need to, before suffering huge losses. Contrast that to share investors who lost 40 – 50% in a few weeks when the stock markets crashed. The bottom line is that it’s a wise investment to own your own property. It’s forced saving (something that most South Africans unfortunately don’t do that well), and you will obtain a return on your investment over time. When it comes to additional investments, the key is to diversify. Sure, there are good investments on the stock market, and by all means speak to a financial advisor to assist you. But appreciate there are risks, and no guarantees. There are also a number of excellent property investments available with good rental returns – and you can borrow funds to make your investment. As with any investment there are risks – but I believe the risks with property are much lower in most cases to those you will experience on the stock market. Happy house hunting. Previous Post Must an Offer to Purchase be in Writing? Next Post Shall I List My Property For Sale With My Friend?